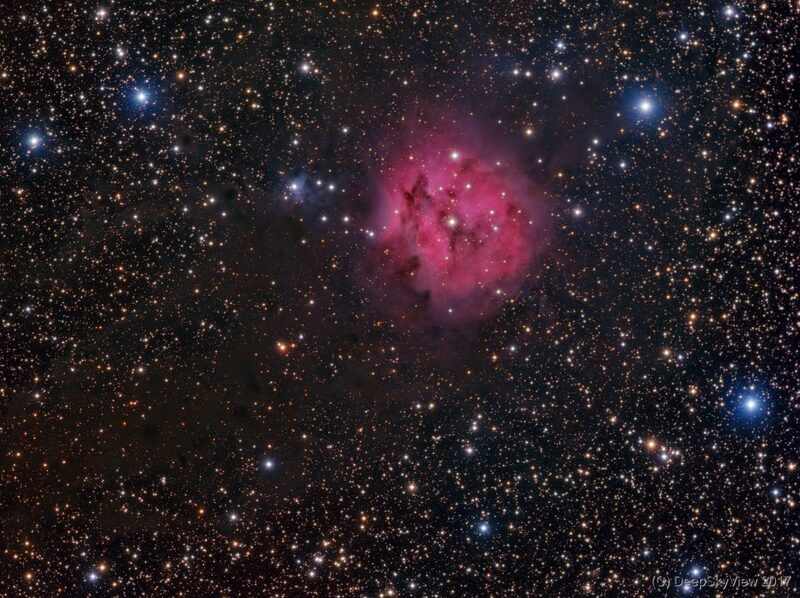 The Cocoon Nebula, IC5146, seen with the RH-305 setup at the Deep Sky West Observatory. I was hoping to get a more prominent appearance of the dark lane extending from the Nebula itself… will have to reprocess this image to get out more. Still, the colors are beautiful.